This article is about the genre of film. For films named "War", see War (disambiguation). War film is a film genre concerned with warfare, typically about naval, air, or land battles, with combat scenes central to the drama. It has been strongly associated with the 20th century. The fateful nature of battle scenes means that war films often end with them. Themes explored include combat, survival and escape, camaraderie between soldiers, sacrifice, the futility and inhumanity of battle, the effects of war on society, and the moral and human issues raised by war. War films are often categorized by their milieu, such as the Korean War; the most popular subject is the Second World War. The stories told may be fiction, historical drama, or biographical. Critics have noted similarities between the Western and the war film. Nations such as China, Indonesia, Japan, and Russia have their own traditions of war film, centred on their own revolutionary wars but taking varied forms, from action and historical drama to wartime romance. Subgenres, not necessarily distinct, include anti-war, comedy, animated, propaganda, and documentary. There are similarly subgenres of the war film in specific theatres such as the western desert (North Africa), the Pacific in the Second World War, or Vietnam; and films set in specific domains of war, such as the infantry, the air, at sea, in submarines, or at prisoner of war camps. The war film genre is not necessarily tightly defined: the American Film Institute, for example, speaks of "films to grapple with the Great War" without attempting to classify these. However, some directors and critics have offered at least tentative definitions. The director Sam Fuller defined the genre by saying that "a war film’s objective, no matter how personal or emotional, is to make a viewer feel war." John Belton identified four narrative elements of the war film within the context of Hollywood production: a) the suspension of civilian morality during times of war, b) primacy of collective goals over individual motivations, c) rivalry between men in predominantly male groups as well as marginalization and objectification of women, and d) depiction of the reintegration of veterans. The film critic Stephen Neale suggests that the genre is for the most part well defined and uncontentious, since war films are simply those about war being waged in the 20th century, with combat scenes central to the drama. However, Neale notes, films set in the American Civil War or the American Indian Wars of the 19th century were called war films in the time before the First World War. The critic Julian Smith argues, on the contrary, that the war film lacks the formal boundaries of a genre like the Western, but that in practice, "successful and influential" war films are about modern wars, in particular World War II, with the combination of mobile forces and mass killing. The film scholar Kathryn Kane points out some similarities between the war film genre and the Western. Both genres use opposing concepts like war and peace, civilization and savagery. War films usually frame World War II as a conflict between "good" and "evil" as represented by the Allied forces and Nazi Germany whereas the Western portrays the conflict between civilized settlers and the savage indigenous peoples. James Clarke notes the similarity between a Western like Sam Peckinpah's The Wild Bunch and "war-movie escapades" like The Dirty Dozen. What I knew in advance was what presumably every member of our culture would know about World War II combat films—that they contained a hero, a group of mixed types [of people], and a military objective of some sort. They take place in the actual combat zones of World War II, against the established enemies, on the ground, the sea, or in the air. They contain many repeated events, such as mail call, all presented visually with appropriate uniforms, equipment, and iconography of battle. The military historian Antony Beevor "despair[s]" at how film-makers from America and Britain "play fast and loose with the facts", yet imply that "their version is as good as the truth." For example, he calls the 2000 American film U-571 a "shameless deception" for pretending that a US warship had helped to win the Battle of the Atlantic—seven months before America entered the war. He is equally critical of Christopher Nolan's 2017 film Dunkirk with its unhistorically empty beaches, low-level air combat over the sea, and rescues mainly by the "little ships". Beevor feels, however, that European film-makers are often "far more scrupulous"; for example, in his view the 2004 German film Downfall accurately depicted the historical events of Hitler's final days in his Berlin bunker, and he considers the 1965 French film The 317th Platoon, set in Vietnam, "the greatest war movie ever made." The 1966 film The Battle of Algiers is, he argues, a close second. The costliest war in U.S. history in terms of American life, this war has been the subject of, or the backdrop to, numerous films, documentaries and mini-series. One of the earliest films using the Civil War as its subject was D.W. Griffith's 1910 silent picture, The Fugitive. Films that have the war as its main subject, or about a certain aspect of the war include the 1989 film, Glory, about the first formal unit of the Union Army during the American Civil War to be made up entirely of black men. Some films such as Gettysburg focused on a single battle during the war, or even on a single incident, like the French short film, La Rivière du Hibou (An Occurrence at Owl Creek Bridge). Others like the 1993 miniseries North and South spanned the entire breadth of the war. Some films deal with the human aspects of the war, such as The Red Badge of Courage (1951), or Shenandoah (1965), on the tragedy that the war inflicted on the civilian population. Ken Burns's The Civil War is the most watched documentary in the history of PBS. The first war films come from the Spanish–American War of 1898. Short "actualities" – documentary film-clips – included Burial of the Maine Victims, Blanket-Tossing of a New Recruit, and Soldiers Washing Dishes. These non-combat films were accompanied by "reenactments" of fighting, such as of Theodore Roosevelt's "Rough Riders" in action against the Spanish, staged in the United States. During the First World War, many films were made about life in the war. Topics included prisoners of war, covert operations, and military training. Both the Central Powers and the Allies produced war documentaries. The films were also used as propaganda in neutral countries like the United States. Among these was a film shot on the Eastern Front by official war photographer to the Central Powers, Albert K. Dawson: The Battle and Fall of Przemysl (1915), depicting the Siege of Przemyśl, disastrous for the Austrians, with incidents reenacted using soldiers as extras. The 1915 Australian film Within Our Gates (also known as Deeds that Won Gallipoli) by Frank Harvey was described by the Motion Picture News as "a really good war story, which is exceptional". The 1916 British film The Battle of the Somme, by two official cinematographers, Geoffrey Malins and John McDowell, combined documentary and propaganda, seeking to give the public an impression of what trench warfare was like. Much of the film was shot on location at the Western Front in France; it had a powerful emotional impact. It was watched by some 20 million people in Britain in its six weeks of exhibition, making it what the critic Francine Stock called "one of the most successful films of all time". William A. Wellman's Wings (1927), about the First World War, was the first film (in any genre), and the only silent film, to win an Oscar for best picture. Later films of varied genres that deal with the First World War include David Lean's "colossal epic", both war film and biopic Lawrence of Arabia (1962), shot in the then unfamiliar and exciting 70mm Technicolor, and described by Steven Spielberg as "maybe the greatest screenplay ever written for the motion-picture medium"; Richard Attenborough's satirical anti-war musical comedy based on Joan Littlewood's play of the same name, Oh! What a Lovely War (1969); and Spielberg's war drama War Horse (2011) based on Michael Morpurgo's children's novel of the same name. The Spanish Civil War has attracted directors from different countries. Sam Wood's For Whom the Bell Tolls (1943), based on Ernest Hemingway's book of the same name, portrays the fated romance between an American played by Gary Cooper and a partisan played by Ingrid Bergman against the backdrop of the civil war. The epic 168 minute film with its landscapes shot in Technicolor and a "beautiful" orchestral score was a success both with audiences and with critics. Alain Resnais's Guernica (1950) uses Picasso's painting to protest against war. Carlos Saura's La Caza (The Hunt, 1966) uses the metaphor of hunting to criticise the aggressiveness of Spanish fascism. It won the Silver Bear for Best Director at the 16th Berlin International Film Festival in 1966. Ken Loach's Land and Freedom (Tierra y Libertad, 1995), loosely based on George Orwell's Homage to Catalonia, follows a British communist through the war to reveal the painful contradictions within the anti-fascist Republican side. Samuel Fuller’s The Steel Helmet (1951) was made during the Korean War (1950–1953). The critic Guy Westwell notes that it questioned the conduct of the war, as did later films like The Bridges at Toko-Ri (1954) and Pork Chop Hill (1959). Fuller agreed that all his films were anti-war. 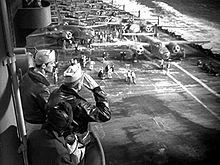 No Hollywood films about the Korean War did well at the box office; the historian Lary May suggested in 2001 that they reminded American viewers of "the only war we have lost". In 1955, after the fighting, the successful South Korean action film Piagol about leftist guerrilla atrocities encouraged other film-makers. The 1960s military government punished pro-communist film-makers and gave Grand Bell Awards to films with the strongest anti-communist message. Censorship loosened in the 1980s. The Taebaek Mountains (1994) dealt with leftists from the south who fought for the communists, while Silver Stallion (1991) and Spring in My Hometown (1998) showed the destructive impact of American military presence on village life. The violent action films Shiri (1999) and Joint Security Area (2000) presented North Korea in a favourable light. Films in North Korea were made by government film studios and had clear political messages. The first was My Home Village (1949), on the liberation of Korea from the Japanese, presented as the work of Kim Il Sung without help from the Americans. Similarly, the country's films about the Korean War show victory without help from the Chinese. The film scholar Johannes Schönherr concludes that the purpose of these films is "to portray North Korea as a country under siege", and that since the U.S. and its "puppet" South Korea invaded the North once, they would do so again. 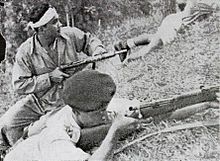 Gillo Pontecorvo's dramatic The Battle of Algiers ((Italian: La battaglia di Algeri; Arabic: معركة الجزائر‎; French: La Bataille d'Alger), 1966) portrayed events in the Algerian War (1954–1956). It was shot on location as an Italo-Algerian co-production. It had the black and white newsreel style of Italian neorealism, and even-handedly depicts violence on both sides. It won various awards including Golden Lion at the Venice Film Festival. It was attacked by French critics and was for five years banned in France. Few films before the late 1970s about the Vietnam War actually depicted combat. The exceptions included The Green Berets (1968). Critics such as Basinger explain that Hollywood avoided the subject because of opposition to United States involvement in the Vietnam War, making the subject divisive; in addition, the film industry was in crisis, and the army did not wish to assist in making anti-war films. From the late 1970s, independently financed and produced films showed Hollywood that Vietnam could be treated in film. Successful but very different portrayals of the war in which America had been defeated included Michael Cimino's The Deer Hunter (1978), and Francis Ford Coppola's Apocalypse Now (1979). With the shift in American politics to the right in the 1980s, military success could again be shown in films such as Oliver Stone's Platoon (1986), Stanley Kubrick's Full Metal Jacket (1987) and John Irvin's Hamburger Hill (1987). The Vietnamese director Nguyễn Hồng Sến [vi]'s The Abandoned Field: Free Fire Zone (Cánh đồng hoang, 1979) gives an "unnerving and compelling .. subjective-camera-eye-view" of life under helicopter fire in the Mekong Delta during the Vietnam War. The film cuts to an (American) "helicopter-eye view", contrasting painfully with the human tenderness seen earlier. Dino Mustafić's Remake (2003), written by Zlatko Topčić, tells the parallel coming-of-age stories of a father living in Sarajevo during World War II and his son living through the Siege of Sarajevo during the Bosnian War. According to Topčić, the story is based on incidents from his own life. The first popular Allied war films made during the Second World War came from Britain and combined the functions of documentary and propaganda. Films such as The Lion Has Wings and Target for Tonight were made under the control of the Films Division of the Ministry of Information. The British film industry began to combine documentary techniques with fictional stories in films like Noël Coward and David Lean's In Which We Serve (1942) – "the most successful British film of the war years", Millions Like Us (1943), and The Way Ahead (1944). In America, documentaries were produced in various ways: General Marshall commissioned the Why We Fight propaganda series from Frank Capra; the War Department's Information-Education Division started out making training films for the U.S. Air Force and U.S. Navy; the Army made its own through the U.S. Signal Corps, including John Huston's The Battle of San Pietro. Hollywood made films with propaganda messages about America's allies, such as Mrs. Miniver (1942), which portrayed a British family on the home front; Edge of Darkness (1943) showed Norwegian resistance fighters, and The North Star (1943) showed the Soviet Union and its Communist Party. Towards the end of the war popular books provided higher quality and more serious stories for films such as Guadalcanal Diary (1943), Mervyn LeRoy's Thirty Seconds Over Tokyo (1944), and John Ford's They Were Expendable (1945). The Russians, too, appreciated the propaganda value of film, to publicise both victories and German atrocities. 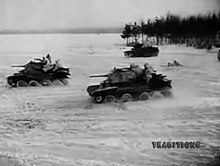 Ilya Kopalin's documentary Moscow Strikes Back (Russian: Разгром немецких войск под Москвой, literally "The rout of the German troops near Moscow"), was made during the Battle of Moscow between October 1941 and January 1942. It depicted civilians helping to defend the city, the parade in Red Square and Stalin's speech rousing the Russian people to battle, actual fighting, Germans surrendering and dead, and atrocities including murdered children and hanged civilians. It won an Academy Award in 1943 for best documentary. Newsreel cameras were similarly rushed to Stalingrad early in 1943 to record "the spectacle which greeted the Russian soldiers" – the starvation of Russian prisoners of war in the Voropovono camp by the German Sixth Army, defeated in the Battle of Stalingrad. Feature films made in the west during the war were subject to censorship and were not always realistic. One of the first to attempt to represent violence, and which was praised at the time for "gritty realism", was Tay Garnett's Bataan (1943). The depiction actually remained stylised: Jeanine Basinger gives as an example the "worst image for stark violence" when a Japanese soldier beheads an American: the victim shows pain and his lips freeze in a scream, yet no blood spurts and his head does not fall off. Basinger points out that while this is physically unrealistic, psychologically it may not have been. The wartime audience was, she points out, well aware of friends and relatives who had been killed or who had come home wounded. Hitler and Goebbels visiting Universum Film AG in 1935. The studio made propaganda films such as Triumph des Willens (1935) and Kolberg (1945). The Axis powers similarly made films during the Second World War, for propaganda and other purposes. In Germany, the army high command brought out Sieg im Westen ("Victory in the West", 1941). Other Nazi propaganda films had varied subjects, as with Kolberg (1945), which depicts stubborn Prussian resistance in the Siege of Kolberg (1807) to the invading French troops under Napoleon. The propaganda minister Joseph Goebbels chose the historical subject as suitable for the worsening situation facing Nazi Germany when it was filmed from October 1943 to August 1944. At over eight million marks, using thousands of soldiers as extras and 100 railway wagonloads of salt to simulate snow, it was the most costly German film made during the war. The actual siege ended with the surrender of the town; in the film, the French generals abandon the siege. For Japan, the war began with the undeclared war and invasion of China in 1937, which the Japanese authorities called "The China Incident". The government dispatched a "pen brigade" to write and film the action in China with "humanist values". Tomotaka Tasaka's Mud and Soldiers (1939) for instance, shot on location in China, Kōzaburō Yoshimura's Legend of Tank Commander Nishizumi, and Sato Takeshi's Chocolate and Soldiers (1938) show the common Japanese soldier as an individual and as a family man, and even enemy Chinese soldiers are presented as individuals, sometimes fighting bravely. Once war with the United States was declared, the Japanese conflict became known as the Pacific War. Japanese film critics worried that even with Western film techniques, their film output failed to represent native Japanese values. The historian John Dower found that Japanese wartime films had been largely forgotten, as "losers do not get reruns", yet they were so subtle and skilful that Frank Capra thought Chocolate and Soldiers unbeatable. Heroes were typically low-ranking officers, not samurai, calmly devoted to his men and his country. These films did not personalise the enemy and therefore lacked hatred, though Great Britain could figure as the "cultural enemy". For Japanese film-makers, war was not a cause but more like a natural disaster, and "what mattered was not whom one fought but how well". Asian enemies, especially the Chinese, were often portrayed as redeemable and even possible marriage partners. Japanese wartime films do not glorify war, but present the Japanese state as one great family and the Japanese people as an "innocent, suffering, self-sacrificing people". Dower comments that the perversity of this image "is obvious: it is devoid of any recognition that, at every level, the Japanese also victimized others." According to Andrew Pulver of The Guardian, the public fascination with war films became an "obsession", with over 200 war films produced in each decade of the 1950s and 1960s. War film production in the United Kingdom and United States reached its zenith in the mid 1950s. Its popularity in the United Kingdom was brought on by the critical and commercial success of Charles Frend's The Cruel Sea (1953). Like others of the period, The Cruel Sea was based on a bestselling novel, in this case the former naval commander Nicholas Monsarrat's story of the battle of the Atlantic. Others, like The Dam Busters (1954), with its exciting tale of the inventor Barnes Wallis's unorthodox bouncing bomb and its distinctive theme music, were true stories. The Dam Busters became the most popular film in Britain in 1955, and remained a favourite as of 2015 with a 100% score on Rotten Tomatoes, though, partly because it celebrated an "exclusively British [victory]", it failed to break into the American market. A large number of war films were made in the 1955-58 period in particular. In 1957 alone, Bitter Victory, Count Five and Die, The Enemy Below, Ill Met by Moonlight, Men in War, The One That Got Away and Seven Thunders, and the highly successful, critically acclaimed pictures The Bridge on the River Kwai, which won the Academy Award for Best Picture that year, and Paths of Glory were released. Some, such as Bitter Victory, focused more on the psychological battle between officers and egotism rather than events during the war. The Bridge on the River Kwai brought a new complexity to the war picture, with a sense of moral uncertainty surrounding war. By the end of the decade the " sense of shared achievement" which had been common in war films "began to evaporate", according to Pulver. Hollywood films in the 1950s and 1960s could display spectacular heroics or self-sacrifice, as in the popular Sands of Iwo Jima (1949) starring John Wayne. U.S. Marines considered Sands of Iwo Jima visually authentic, but found Lewis Milestone's Battle Cry (1955), with its attention to the lives of the men, the more realistic film. The formula for a successful war film consisted, according to Lawrence Suid, of a small group of ethnically diverse men; an unreasonable senior officer; cowards became heroic, or died. Jeanine Basinger suggests that a traditional war film should have a hero, a group, and an objective, and that the group should contain "an Italian, a Jew, a cynical complainer from Brooklyn, a sharpshooter from the mountains, a midwesterner (nicknamed by his state, "Iowa" or "Dakota"), and a character who must be initiated in some way". Films based on real commando missions, like The Gift Horse (1952) based on the St. Nazaire Raid, and Ill Met by Moonlight (1956) based on the capture of the German commander of Crete, inspired fictional adventure films such as The Guns of Navarone (1961), The Train (1964) and Where Eagles Dare (1968). These used the war as a backdrop for spectacular action. Darryl F. Zanuck produced the 178 minute documentary drama The Longest Day (1962), based on the first day of the D-Day landings, achieving commercial success and Oscars. It was followed by large-scale but thoughtful films like Andrei Tarkovsky's Ivan's Childhood (1962), and quasi-documentary all-star epics filmed in Europe such as Battle of the Bulge (1965), Battle of Britain (1969), The Battle of Neretva (1969), Midway (1976) and A Bridge Too Far (1977). In Lawrence Suid's view, The Longest Day "served as the model for all subsequent combat spectaculars". However, its cost also made it the last of the traditional war films, while the controversy around the help given by the U.S. Army and Zanuck's "disregard for Pentagon relations" changed the way that Hollywood and the Army collaborated. Zanuck, by then an executive at 20th Century Fox, set up an American-Japanese co-production for Richard Fleischer's Tora! Tora! Tora! (1970) to depict what "really happened on December 7, 1941" in the surprise attack on Pearl Harbor. The film, panned by Roger Ebert and The New York Times, was a major success in Japan. Its realistic-looking attack footage was reused in later films such as Midway (1976), The Final Countdown (1980), and Australia (2008). The story was revisited in Pearl Harbor (2001), described by The New York Times as a "noisy, expensive and very long new blockbuster", with the comment that "for all its epic pretensions (as if epic were a matter of running time, tumescent music and earnest voice-over pronouncements), the movie works best as a bang-and-boom action picture". Steven Spielberg's Saving Private Ryan (1998) uses hand-held camera, sound design, staging and increased audio-visual detail to defamiliarise viewers accustomed to conventional combat films, so as to create what film historian Stuart Bender calls "reported realism", whether or not the portrayal is genuinely more realistic. Jeanine Basinger notes that critics experienced it as "groundbreaking and anti-generic", with, in James Wolcott's words, a "desire to bury the cornball, recruiting poster legend of John Wayne: to get it right this time"; and that combat films have always been "grounded in the need to help an audience understand and accept war". Its success revived interest in World War II films. Others tried to portray the reality of the war, as in Joseph Vilsmaier's Stalingrad (1993), which The New York Times said "goes about as far as a movie can go in depicting modern warfare as a stomach-turning form of mass slaughter." Many war films have been produced with the cooperation of a nation's military forces. Since the Second World War, the United States Navy has provided ships and technical guidance for films such as Top Gun. The U.S. Air Force assisted with The Big Lift, Strategic Air Command and A Gathering of Eagles, which were filmed on Air Force bases; Air Force personnel appeared in many roles. Critics have argued that the film Pearl Harbor's US-biased portrayal of events is a compensation for technical assistance received from the US armed forces, noting that the premiere was held on board a U.S. Navy carrier. In another case, the U.S. Navy objected to elements of Crimson Tide, especially mutiny on board an American naval vessel, so the film was produced without their assistance. The film historian Jonathan Rayner observes that such films "have also clearly been intended to serve vital propagandist, recruitment and public relations functions". The first Chinese war films were newsreels like Battle of Wuhan (1911) and Battle of Shanghai (1913). Still in films such as Xu Xinfu's Battle Exploits (1925), war featured mainly as background. Only with the Second Sino–Japanese War from 1937 onwards did war film become a serious genre in China, with nationalistic films such as Shi Dongshan's Protect Our Land (1938) The Chinese Civil War, too, attracted films such as Cheng Yin's From Victory to Victory (1952). A more humanistic film set in the same period is Xie Jin's The Cradle (1979), while more recent large-scale commercial films include Lu Chuan's City of Life and Death (2009). Chinese directors have repeatedly attempted to cover the atrocities committed by the Japanese during the Nanking massacre (1937–1938), with films such as the political melodrama Massacre in Nanjing, Mou Tun Fei's docudrama Black Sun: The Nanking Massacre, and the "contrived Sino–Japanese romance" Don't Cry, Nanking. Zhang Yimou's epic Chinese film Flowers of War (2011), based on Geling Yan's novel, portrays the violent events through the eyes of a 13-year-old girl. Many Indonesian films deal with the occupation of the archipelago by the Japanese during the Second World War. Teguh Karya's Doea Tanda Mata (Mementos, literally "Two Eye Marks", 1985) covers the limited nationalist resistance to Dutch colonial rule in the 1930s. A third group of films such as Enam Djam di Jogja (Six Hours in Yogyakarta, 1951) and Serangan Fajar (Attack at Dawn, 1983) covers the Indonesian war of independence (1945–1949). Two other films about the same period portray the Indonesian equivalent of the Chinese Long March: Usmar Ismail's Darah dan Doa (The Long March, literally "Blood and Prayer", 1950) and Mereka Kembali (They Return, 1975). Each of these films interprets the past from the perspective of its own time. The more recent Merdeka (Freedom) trilogy (2009–2011), starting with Merah Putih ("Red and White", the colours of the flag of the new Indonesia), revisits the campaign for independence through the lives of a diverse group of cadets who become guerillas. Karya's November 1828 (1979) looks at Indonesia's struggle for independence through historical drama about the Java or Diponegoro War (1825–1830), though the colonial enemy was the same, the Dutch. Deanne Schultz considered it "a valuable interpretation" of Indonesian history that "embodies the best of popular Indonesian cinema." It was the first Indonesian film to become well-known internationally. War has been Russian cinema's major genre, becoming known indeed as the "cinema front", and its war films ranged from grim portrayals of atrocities to sentimental and even quietly subversive accounts. Leonid Lukov's popular and "beautiful" Two Warriors (1943) depicted two stereotypical Soviet soldiers, a quiet Russian and an extrovert southerner from Odessa, singing in his dugout. The many Russian films about the Second World War include both large-scale epics such as Yury Ozerov's Battle of Moscow (1985) and Mikhail Kalatozov's more psychological The Cranes are Flying (1957) on the cruel effects of war; it won the 1958 Palme d'Or at Cannes. 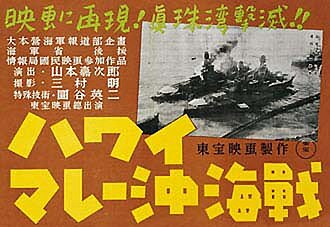 Japanese directors have made popular films such as Submarine I-57 Will Not Surrender (1959), Battle of Okinawa (1971) and Japan's Longest Day (1967) from a Japanese perspective. These "generally fail to explain the cause of the war". In the decades immediately after the Second World War, Japanese films often focused on human tragedy rather than combat, such as The Burmese Harp (1956), Fires on the Plain, (1959). From the late 1990s, films started to take a positive view of the war and of Japanese actions. These nationalistic films, including Pride (1998), Merdeka 17805 (2001), and The Truth about Nanjing (2007), have emphasized positive traits of the Japanese military and contended that the Japanese were victims of post-war vindictiveness and viciousness. Such films have, however, drawn protest for revisionism. The Eternal Zero (2013) narrates the tale of a Zero fighter pilot who is considered a coward by his comrades, as he returns alive from his missions. It broke the record takings for a Japanese live action film, and won the Golden Mulberry at the Udine Far East Film Festival, but was criticised for its nationalistic sympathy with kamikaze pilots. The wartime authorities in both Britain and America produced a wide variety of documentary films. Their purposes included military training, advice to civilians, and encouragement to maintain security. Since these films often carried messages, they grade into propaganda. Similarly, commercially produced films often combined information, support for the war effort, and a degree of propaganda. Newsreels, ostensibly simply for information, were made in both Allied and Axis countries, and were often dramatised. More recently, in the Iran–Iraq War, Morteza Avini's Ravayat-e Fath (Chronicles of Victory) television series combined front-line footage with commentary. 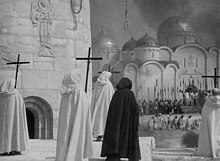 Sergei Eisenstein's 1938 historical drama Alexander Nevsky depicts Prince Alexander's defeat of the attempted invasion of the Russian city of Novgorod by the Teutonic Knights. By April 1939 the film had been seen by 23,000,000 people. In 1941 the director and three others were awarded the Stalin Prize for their contributions. The film features a musical score by the classical composer Sergei Prokofiev, considered by artists such as the composer André Previn the best ever written for cinema. Russell Merritt, writing in Film Quarterly, describes it as a "war propaganda film". A 1978 Mondadori poll placed Alexander Nevsky among the world's 100 best motion pictures. During the Second World War, film propaganda was widely used. Kenneth Clark advised the British government that "If we renounced interest in entertainment as such, we might be deprived of a valuable weapon for getting across our propaganda"; he suggested using documentaries about the war and the war effort; celebrations of Britishness; and films about British life and character. Michael Powell and Clark agreed on a story about survivors of a U-boat crew, imbued with brutal Nazi ideology, travelling across Canada and meeting various kind, tolerant and intelligent Canadians, to encourage America into the war. The resulting film, 49th Parallel (1941), became the top film at British offices that year. Entertaining films could carry messages about the need for vigilance, too, as in Went the Day Well? (1942) or the avoidance of "careless talk", as in The Next of Kin (1942). The romantic drama Casablanca (1943) was used to vilify Nazism. In America, Charlie Chaplin's The Great Dictator (1940) clearly satirised fascism. Michael Curtiz's Casablanca (1943) was not simply a romance between the characters played by Humphrey Bogart and Ingrid Bergman, but vilified the Nazis and glorified resistance to them. Frank Capra's Why We Fight series (1942–1945) won the 1942 Academy Award for best documentary, though it was designed to "influence opinion in the U.S. military". During the Cold War, "propaganda played as much of a role in the United States' struggle with the Soviet Union as did the billions of dollars spent on weaponry." Face to Face with Communism (1951) dramatised an imagined invasion of the United States; other films portrayed threats such as communist indoctrination. Submarine films have their own particular meanings and conventions, concerned specifically with giving the effect of submarine warfare. A distinctive element in this subgenre is the soundtrack, which attempts to bring home the emotional and dramatic nature of conflict under the sea. For example, in Wolfgang Petersen's 1981 Das Boot, the sound design works together with the hours-long film format to depict lengthy pursuit with depth charges, the ping of sonar, and threatening sounds such as of the propellors of enemy destroyers and torpedoes. Classic films in the genre include The Enemy Below (1957) and Run Silent, Run Deep (1958), both based on novels by naval commanders. Run Silent, Run Deep is a movie full of tension, both with the enemy and between the contrasting personalities of the submarine Commander and his Lieutenant, played by Clark Gable and Burt Lancaster. A popular subgenre of war films in the 1950s and 1960s was the prisoner of war film. The genre was popularised in Britain with major films like Guy Hamilton's The Colditz Story (1955) and John Sturges's The Great Escape (1963). 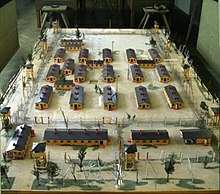 They told stories of real escapes from German prisoner of war camps such as Stalag Luft III in the Second World War. Despite episodes of danger and human tragedy, these films delight in a continual boyish game of escape and ingenuity, celebrating the courage and the defiant spirit of the prisoners of war, and treating war as fun. David Lean's Bridge on the River Kwai (1957) was judged best picture at the Oscars; it took the genre from chilly German prisons to the heat of a camp in Thailand. It was the first, too, to use lush colour to bring out the British stiff upper lip of the colonel, played by Alec Guinness in an Oscar-winning performance. The "definitive" Oscar-winning prisoner of war film was Billy Wilder's Stalag 17 (1953), while the brief but powerful prison camp scenes of The Deer Hunter (1977) lend an air of tragedy to the whole of that film. Charlie Chaplin's Shoulder Arms (1918) set a style for war films to come, and was the first comedy about war in film history. British cinema in the Second World War marked the evacuation of children from London with social comedies such as Those Kids from Town (1942) where the evacuees go to stay with an earl (a country nobleman), while in Cottage to Let (1941) and Went the Day Well? (1942) the English countryside is thick with spies. Gasbags (1941) offered "zany, irreverent, knockabout" comedy making fun of everything from barrage balloons to concentration camps. Abbott and Costello's Buck Privates (1941) was successful in America, leading to many further wartime comedies. Winsor McCay's The Sinking of the Lusitania (1918) was a silent First World War film. At 12 minutes long, it was the longest animated film made at that time. It was probably the first animated propaganda film to be made; it remains the earliest serious animated drama that has survived. Through World War II, animated propaganda shorts remained influential in American cinema. The Walt Disney Company, working with the American armed forces, produced 400,000 feet of war propaganda films between 1942 and 1945, including Der Fuehrer's Face (1943) and Education for Death (1943). Japanese anime films from the 1960s onwards addressed national memories of war. Akira (1988) moves from the atomic destruction of Hiroshima and Nagasaki to apocalyptic visions of global conflict; Grave of the Fireflies (1988) is elegiac on the effect of war on children. Barefoot Gen (1983) portrays the bombing of Hiroshima through the eyes of a child, but reviewers consider it a less well made film than Grave of the Fireflies with "stomach-churning detail" bizarrely paired with crude artwork, giving it the look of a "Saturday morning Warner Brothers cartoon". The anti-war genre began with films about the First World War. Films in the genre are typically revisionist, reflecting on past events and often generically blended. Lewis Milestone's All Quiet on the Western Front (1930) was unquestionably powerful, and an early anti-war film, portraying a German point of view; it was the first film (in any genre) to win two Oscars, best picture and best director. Andrew Kelly, analysing All Quiet on the Western Front, defined the genre as showing: the brutality of war; the amount of human suffering; the betrayal of men's trust by incompetent officers. War and anti-war films often prove difficult to categorize as they contain many generic ambiguities. While many anti-war films criticize war directly through depictions of grisly combat in past wars, some films such as Penn's Alice's Restaurant criticized war obliquely by poking fun at such things as the draft board. The number of anti-war films produced in America dipped sharply during the 1950s because of McCarthyism and the Hollywood blacklist. The end of the blacklist and the introduction of the MPAA rating system marked a time of resurgence for films of all type including anti-war films in the States. Robert Eberwein names two films as anti-war classics: Jean Renoir's prisoner of war masterpiece La Grande Illusion (The Grand Illusion, 1937), and Stanley Kubrick's Paths of Glory (1957). The critic David Ehrenstein notes that Paths of Glory established Kubrick as the "leading commercial filmmaker of his generation" and a world-class talent. Ehrenstein describes the film as an "outwardly cool/inwardly passionate protest drama about a disastrous French army maneuver and the court-martial held in its wake", contrasting it with the "classic" All Quiet on the Western Front's story of an innocent "unstrung by the horrors of war". Comedy gave scope for satire, and post-war film-makers merged comedy and anti-war sentiment in films as varied as Stalag 17 (1953) and Dr Strangelove (1964). Black comedies like Mike Nichols's Catch-22 (1970), based on Joseph Heller's satirical novel about the Second World War, and Robert Altman's MASH (1970), set in Korea, reflected the attitudes of an increasingly sceptical public during the Vietnam War. Other genres were combined in Franklin J. Schaffner's Patton (1970), about real life General George S. Patton, where combat scenes were interleaved with commentary about how he waged war, showing good and bad sides to a command. It and MASH became the two most profitable war/anti-war films made up to that time; and Patton won seven Academy Awards. ^ Clarke's list of "notable Civil War films" is Shenandoah (1965), Gods and Generals (2003), Andersonville (1966), The Beguiled (1971), North and South (1985), and Ride with the Devil (1999). ^ Further, two of the aircraft are still carrying their weapons after the attack. ^ a b Neale 2000, p. 117. ^ a b Manchel, Frank (January 1990). Film Study: An Analytical Bibliography. Fairleigh Dickinson Univ Press. p. 200. ISBN 978-0-8386-3186-7. ^ "Cinema and the Great War". AFI. Retrieved 23 June 2015. ^ Macnab, Geoffrey (20 October 2014). "Fury, film review: Brad Pitt stars as an unsympathetic hero in muted war movie". The Independent. Retrieved 5 March 2015. ^ Belton 1994, pp. 165–171. ^ Kane, Kathryn. "The World War II Combat Film". In: Wes D. Gehring (ed.) Handbook of American Film Genres. New York: Greenwood Press, 1988, pp. 90-91, ISBN 978-0-313-24715-6. ^ Clarke 2006, pp. 9–10. ^ a b Basinger 1986, p. 23. ^ Eberwein 2005, pp. 30–31. ^ Basinger 1986, pp. 14–75. ^ Neale 2000, p. 117–121. ^ Neale 2000, p. 118. ^ Clarke 2006, pp. 227–237. ^ Clarke 2006, p. 236. ^ a b c d e Beevor, Antony (29 May 2018). "War films | Antony Beevor: the greatest war movie ever – and the ones I can't bear". The Guardian. ^ "The Fugitive". Silent Era. Archived from the original on 3 April 2015. Retrieved 23 June 2015. ^ Ebert, Roger. "Glory". RogerEbert.com. Retrieved 23 June 2015. ^ Jubera, Drew (9 October 1993). "GETTYSBURG: Ted Turner, a cast of thousands and the ghosts of the past". The Baltimore Sun. Retrieved 23 June 2015. ^ "New York Times: An Occurrence at Owl Creek Bridge". NY Times. Retrieved 22 May 2008. ^ Erickson, Hal. "The Red Badge of Courage: Synopsis". AllMovie. Retrieved 23 June 2015. ^ "Shenandoah: article". Turner Classic Movies. Archived from the original on 23 June 2015. Retrieved 23 June 2015. ^ "The Filmmakers: Ken Burns". PBS. Retrieved 23 June 2015. ^ Eberwein 2010, p. 5. ^ "World War I: Siege Of Przemysl". Retrieved 6 March 2015. ^ "Movies: The Battle and Fall of Przemysl (1915)". The New York Times. 2010. Retrieved 6 March 2015. ^ Smither, R.B.N. (2008). The Battle of the Somme (DVD viewing guide) (PDF) (2nd rev. ed.). Imperial War Museum. ISBN 0-90162-794-1. ^ Stock, Francine. "Why was the Battle of the Somme film bigger than Star Wars?". BBC. Retrieved 29 June 2016. ^ "The 1st Academy Awards : 1929". Oscars.org. Retrieved 23 June 2015. ^ a b "Lawrence of Arabia (1962)". British Film Institute. Retrieved 9 March 2015. ^ Fahy, Patrick (4 April 2014). "Lawrence of Arabia: 50 years ago". British Film Institute. Retrieved 9 March 2015. ^ "Oh! What a Lovely War (1969)". British Film Institute. Retrieved 9 March 2015. ^ "War Horse (2011)". British Film Institute. Retrieved 9 March 2015. ^ a b c "Franco, Fascists, and Freedom Fighters: The Spanish Civil War on Film". Harvard Film Archive. 2015. Archived from the original on 2015-03-07. Retrieved 11 March 2015. ^ Pulver, Andrew (29 March 2011). "A short history of Spanish cinema". The Guardian. Retrieved 11 March 2015. ^ "Berlinale 1966: Prize Winners". Retrieved 11 March 2015. ^ Westwell 2006, pp. 51–53. ^ West, Philip; Sŏ, Chi-mun (1 January 2001). Remembering the "Forgotten War": The Korean War Through Literature and Art. M.E. Sharpe. p. 127. ISBN 978-0-7656-0696-9. ^ Paquet, Darcy. "South Korean Films About the Korean War (1950-53): A Tool for Reference". Koreanfilm.org. Retrieved 6 March 2015. ^ de Wilde, Gervase. "The Battle of Algiers, DVD review". The Telegraph. Retrieved 11 March 2015. ^ Matthews, Peter (9 August 2011). "The Battle of Algiers: Bombs and Boomerangs". Criterion. Retrieved 11 March 2015. ^ a b c d e Neale 2000, pp. 121–124. ^ Basinger 1986, pp. 212–213. ^ "The Abandoned Field-Free Fire Zone (Canh dong hoang)". University of California, Berkeley Art Museum & Pacific Film Archive. Archived from the original on 2015-04-02. Retrieved 10 March 2015. ^ "KVIFF programme - Remake". Kviff. Retrieved 25 August 2015. ^ "CIFF: "Remake"". Cleveland Film. Retrieved 26 August 2015. ^ Murphy 2005, p. 64. ^ a b c Swann, Paul (1989). The British Documentary Film Movement, 1926-1946. Cambridge University Press. pp. viii, 150–173. ISBN 978-0-521-33479-2. ^ a b c Manning, Martin J. (2004). Historical Dictionary of American Propaganda. Greenwood Publishing Group. pp. 86–87. ISBN 978-0-313-29605-5. ^ "Mrs. Miniver (1942)". The New York Times. Retrieved 7 March 2015. ^ Orriss 1984, pp. 93–100. ^ "Moscow Strikes Back". Artkino Pictures. 1942. Retrieved 17 March 2015. ^ "T.S." (17 August 1942). "Movie Review: Moscow Strikes Back (1942) 'Moscow Strikes Back,' Front-Line Camera Men's Story of Russian Attack, Is Seen at the Globe". The New York Times. Retrieved 18 March 2015. ^ Beevor, Antony (1999) . Stalingrad. Penguin. pp. 350–351. ISBN 0-140-24985-0. ^ a b c Basinger, Jeanine (1998). "Translating War: The Combat Film Genre and Saving Private Ryan". Perspectives on History. American Historical Association (October 1998). Retrieved 7 March 2015. ^ Herzstein, Robert E (1979). The War that Hitler Won. Hamish Hamilton. p. 281. ISBN 0-399-11845-4. ^ "Kolberg". FilmPortal.de. Retrieved 13 March 2015. ^ Leiser, Erwin (1974). Nazi Cinema. Macmillan. pp. 122–129. ISBN 0-02-570230-0. ^ Calichman, Richard (2008). Overcoming Modernity: Cultural Identity in Wartime Japan. Columbia University Press. p. 174. ISBN 978-0-231-14396-7. Even though Japanese film techniques were basically learned from American and Soviet films, most of what has been expressed through these techniques has been fake, showing neither real Japanese customs nor the Japanese heart. ^ Dower 1993, p. 48. ^ Dower 1993, p. 49. ^ a b c Pulver, Andrew (17 July 2014). "Why are we so obsessed with films about the second world war?". The Guardian. Retrieved 7 March 2015. ^ a b Mayer 2003, p. 83. ^ "A. W." (11 August 1953). "The Cruel Sea (1953) THE SCREEN IN REVIEW; Monsarrat's 'The Cruel Sea,' a Graphic Record of Valor, Opens at Fine Arts". The New York Times. Retrieved 14 March 2015. ^ "From London". The Mail (Adelaide). National Library of Australia. 9 January 1954. p. 50. Retrieved 10 July 2012. ^ "'The Dam Busters'." Times [London, England], 29 December 1955, p. 12 via The Times Digital Archive. Retrieved: 11 July 2012. ^ "The Dam Busters (1954)". Rotten Tomatoes. Retrieved 8 March 2015. ^ John Ramsden (2003). The Dam Busters: A British Film Guide. I.B.Tauris. p. 118. ISBN 978-1-86064-636-2. ^ Monaco 1992, p. 96. ^ DiLeo 2010, p. 196. ^ a b Suid 2002, pp. 116–135. ^ "The Longest Day (1962) Awards". Turner Classic Movies, A Time Warner Company. Retrieved 7 March 2015. ^ a b Suid 2002, pp. 188–189. ^ a b Parish 1990, pp. 411–412. ^ Orriss 1984, pp. 194–195. ^ Ebert, Roger (12 October 1970). "Tora! Tora! Tora! (review)". Chicago Sun-Times. Retrieved 15 March 2015. ^ Canby, Vincent (4 September 1970). "Movies: Tora! Tora! Tora! (1970)". The New York Times. Retrieved 15 March 2015. ^ Dolan 1985, p. 87. ^ Scott, A. O. (25 May 2001). "'Pearl Harbor': War Is Hell, but Very Pretty". New York Times. Retrieved 8 March 2015. ^ Bender 2013, p. ix. ^ Stein, Howard F. (2004). Beneath the Crust of Culture: Psychoanalytic Anthropology and the Cultural Unconscious in American Life. Rodopi. p. 6. ISBN 90-420-0818-0. Chris Vognar writes: Saving Private Ryan wasn't just a great movie: it was also the cultural touchstone for the country's revived interest in World War II. ^ Holden, Stephen (24 May 1995). "Stalingrad (1992) FILM REVIEW; In War's Horrors, Chaos May Rank With Carnage". New York Times. Retrieved 8 March 2015. ^ Suid 2015, pp. 161–209. ^ a b Rayner 2007, pp. 1–2. ^ Suid 2002, p. 609. ^ Ye, Tan; Zhu, Yun (2012). Historical Dictionary of Chinese Cinema. Rowman & Littlefield. pp. 168–169. ISBN 978-0-8108-6779-6. ^ Li, Peter. Japanese War Crimes: The Search for Justice. Transaction Publishers. pp. 204–223. ISBN 978-1-4128-2683-9. ^ "The story behind Chinese war epic The Flowers of War". BBC. Retrieved 10 March 2015. ^ "Doea Tanda Mata (1986)". New York Times. Retrieved 13 March 2015. ^ a b Heider 1991, pp. 99–107. ^ Parrot, John (9 February 2011). "Review: Red and White (Merah Putih)". The Film Review. Retrieved 11 March 2015. ^ Schultz 2007, p. 133. ^ Youngblood 2010, pp. 234–235, passim. ^ Smorodinskaya, Tatiana; Evans-Romaine, Karen; Goscilo, Helena, eds. (28 October 2013). Encyclopaedia of Contemporary Russian Culture. Routledge. p. 205. ISBN 978-1-136-78785-0. ^ Stites 1992, pp. 113–114. ^ "See The War With Russian Eyes: Soviet And Russian Films About World War 2". The Embassy of the Russian Federation to the United Kingdom of Great Britain and Northern Ireland. The Ministry of Foreign Affairs of Russia. 2012. Retrieved 9 March 2015. ^ Tam, Tsu & Wilson 2014, p. 108, passim. ^ a b c USNI Staff (14 April 2014). "Through Japanese Eyes: World War II in Japanese Cinema". United States Naval Institute. Retrieved 8 March 2015. ^ High, Peter B. (2003). The Imperial Screen: Japanese Film Culture in the Fifteen Years' War, 1931-1945. Wisconsin Studies in Film. Madison: University of Wisconsin Press. p. xxvi. ISBN 978-0-299-18130-7. ^ Goto, Ken'ichi (2003). Tensions of Empire: Japan and Southeast Asia in the Colonial and Postcolonial World. Athens, Ohio: Ohio University Press. p. 273. ISBN 978-0-89680-231-5. ^ Kevin Ma (February 13, 2014). "Eternal Zero tops Japan B.O. for 8th week". Film Business Asia. Archived from the original on 2014-02-21. Retrieved February 13, 2014. ^ Mark Schilling (3 May 2014). "Japanese Pic 'Eternal Zero' Wins Italy's Udine Audience Prize". Variety. Retrieved 12 March 2015. ^ Lee, Maggie (7 February 2014). "Film Review: 'The Eternal Zero'". Variety. Retrieved 12 March 2015. 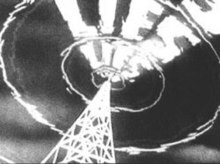 ^ "The Art of Wartime Newsreels – 1940 through 1946". 1940s.org. Retrieved 8 March 2015. ^ "German Wartime Newsreels (Die Deutsche Wochenschau)". International Historic Films. Archived from the original on 2015-04-02. Retrieved 8 March 2015. ^ "Wartime Newsreel British News Now Online". British Universities Film & Video Council. Retrieved 8 March 2015. ^ Rastegar, Kamran (2015). Surviving Images: Cinema, War, and Cultural Memory in the Middle East. Oxford University Press. p. 213. ISBN 978-0-19-939017-5. ^ Hoberman, J. "Alexander Nevsky". Criterion. Retrieved 4 March 2015. ^ Anderson, Kyril (2005). Kremlevskij Kinoteatr. 1928–1953: Dokumenty. Rospen Press. p. 539. ISBN 978-5-8243-0532-6. ^ "Watch It for the Soundtrack: 'Alexander Nevsky'". NPR. 10 February 2008. SEABROOK: The most exciting film music of all, Prokofiev. KORNBLUTH: Because it's so completely matches sound to image that you'll only have to hear that to know what you're seeing. ^ Merritt, Russell (1994). "orgRecharging "Alexander Nevsky": Tracking the Eisenstein-Prokofiev War Horse". Film Quarterly. 48 (2): 34–47. doi:10.1525/fq.1994.48.2.04a00050. JSTOR 1213094. ^ "mindupper.com". Ruscico.com. Archived from the original on 2017-04-19. Retrieved 4 March 2015. ^ Silver, Charles (7 June 2011). "Why We Fight: Frank Capra's WWII Propaganda Films". Museum of Modern Art (MoMA). ^ Murphy 2005, pp. 61–62. ^ a b "World War II Movies - Propaganda and Patriotism". Retrieved 8 March 2015. ^ German, Kathleen (1990). "Frank Capra's Why We Fight Series and the American Audience". Western Journal of Speech Communication. 54 (2): 237–48. doi:10.1080/10570319009374338. ^ "The Fort Devens Collection". Harvard Film Archive. Archived from the original on 2015-03-07. Retrieved 12 March 2015. ^ Koldau, Linda Maria (2010). "Sound effects as a genre-defining factor in submarine films". MedieKultur. 48: 18–30. ^ "Duel to the Death". New York Times. 26 December 1957. Retrieved 8 March 2015. ^ Crowther, Bosley (28 March 1958). "Run Silent Run Deep (1958)". New York Times. Retrieved 8 March 2015. ^ a b c d e Wigley, Samuel. "10 great prisoner-of-war films". British Film Institute. Retrieved 6 March 2015. ^ "Charlie Chaplin goes to War". RRCHNM. Archived from the original on 2015-03-16. Retrieved 6 March 2015. ^ a b c Thrift, Matthew (1 July 2014). "10 great First World War films". British Film Institute. Retrieved 6 March 2015. ^ Murphy 2005, pp. 34–35. ^ Murphy 2005, p. 41. ^ Strauss, Theodore (14 February 1941). "At Loew's State". New York Times. ^ Erickson 2012, pp. passim. ^ Theisen, Earl (1967) . "The History of the Animated Cartoon". In Fielding, Raymond (ed.). A Technological History of Motion Pictures and Television. University of California Press. pp. 84–87. ISBN 978-0-520-00411-5. ^ Mikulak, Bill (Spring 1997). "Mickey Meets Mondrian: Cartoons Enter the Museum of Modern Art". Cinema Journal. University of Texas Press. 36 (3): 56–72. JSTOR 1225675. ^ Wells, Paul (2002). Animation: Genre and Authorship. Wallflower Press. p. 116. ISBN 978-1-903364-20-8. ^ Churchill, Edward (March 1945). "Walt Disney's Animated War". Flying. 36 (3): 50–51, 134–138. ^ Shull, Michael S.; Wilt, David E. (2005). Doing Their Bit: Wartime American Animated Short Films, 1939-1945 (2nd ed.). Jefferson, NC: McFarland and Company. p. 60. ISBN 978-0-7864-1555-7. ^ Singleton, Jack (23 August 2011). "Japanese Animation, the Pacific War and the Atomic Bomb". Impact, University of Nottingham. Retrieved 11 March 2015. ^ Napier 2005, pp. 1–3. ^ See, Raphael. "Barefoot Gen". T.H.E.M. Anime Reviews. Retrieved 12 March 2015. ^ Stephen Neale (January 2000). Genre and Hollywood. Psychology Press. p. 117. ISBN 978-0-415-02606-2. ^ Paris, Michael (4 April 1987). "The American Film Industry & Vietnam". History Today. 37 (4). ^ Smith, Jeff (2014). Film Criticism, the Cold War, and the Blacklist. University of California Press. ISBN 978-0-520-95851-7. JSTOR 10.1525/j.ctt6wqb6x. ^ Eberwein 2005, p. 4. ^ Ehrenstein, David (25 June 1989). "Paths of Glory". The Criterion Collection. Retrieved 8 March 2015. ^ Erickson 2012, pp. 314–368. ^ Bozzola, Lucia. "Movies: Catch-22 (1970)". The New York Times. Retrieved 10 March 2015. ^ "The 43rd Academy Awards (1971) Nominees and Winners". Retrieved 8 March 2015. Basinger, Jeanine (1986). World War II Combat Film: The Anatomy of a Genre. Columbia University Press. ISBN 978-0-231-05952-7. Belton, John (1994). American Cinema/American Culture. McGraw-Hill. ISBN 978-0-07-004466-1. Bender, Stuart (2013). Film Style and the World War II Combat Genre. Cambridge Scholars Publishing. ISBN 978-1-443-84336-2. Clarke, James (2006). War Films. Virgin Books. ISBN 978-0-753-51094-0. DiLeo, John (October 2010). Tennessee Williams and Company: His Essential Screen Actors. Hansen Publishing Group LLC. ISBN 978-1-60182-425-7. Dolan, Edward F. Jr. (1985). Hollywood Goes to War. Bison Books. ISBN 0-86124-229-7. Dower, John (1993). "Japanese cinema goes to war". In Dower, John (ed.). Japan in War and Peace: Selected Essays. NY: New Press. pp. 33–54. ISBN 1565840674. Eberwein, Robert T. (2005). The War Film. Rutgers University Press. ISBN 0813534968. Eberwein, Robert T. (2010). The Hollywood War Film. Wiley-Blackwell. ISBN 9781405173919. Erickson, Hal (2012). Military Comedy Films: A Critical Survey and Filmography of Hollywood Releases Since 1918. McFarland. ISBN 978-0-786-46290-2. Heider, Karl G. (1991). Indonesian Cinema: National Culture on Screen. University of Hawaii Press. ISBN 978-0-8248-1367-3. Mayer, Geoff (2003). Guide to British Cinema. Greenwood Publishing Group. ISBN 978-0-313-30307-4. Monaco, James (1992). The Movie Guide. Perigee Books. ISBN 978-0-399-51780-8. Murphy, Robert (2005). British Cinema and the Second World War. A&C Black. ISBN 978-0-8264-7897-9. Napier, Susan (2005). "World War II as Trauma, Memory and Fantasy in Japanese Animation". The Asia-Pacific Journal: Japan Focus (1972). Neale, Stephen (2000). War Films. Genre and Hollywood. Psychology Press. pp. 117–124. ISBN 978-0-415-02606-2. Orriss, Bruce (1984). When Hollywood Ruled the Skies: The Aviation Film Classics of World War II. Aero Associates. ISBN 096130880X. Parish, James Robert (1990). The Great Combat Pictures: Twentieth-Century Warfare on the Screen. Scarecrow Press. ISBN 978-0-8108-2315-0. Rayner, Jonathan (2007). The Naval War Film: Genre, History and National Cinema. Manchester University Press. ISBN 978-0-7190-7098-3. Schultz, Deanne (2007). Filmography of World History. Greenwood Press. ISBN 978-0-313-32681-3. Stites, Richard (1992). Russian Popular Culture: Entertainment and Society Since 1900. Cambridge University Press. ISBN 978-0-521-36986-2. Suid, Lawrence H. (2002). Guts & Glory: The Making of the American Military Image in Film. University Press of Kentucky. ISBN 0-813-19018-5. Suid, Lawrence H. (2015). Guts & Glory: The Making of the American Military Image in Film (Revised and enlarged ed.). University Press of Kentucky. ISBN 9780813158082. Tam, King-fai; Tsu, Timothy Y.; Wilson, Sandra (2014). Chinese and Japanese Films on the Second World War. Routledge. ISBN 978-1-317-65046-1. Westwell, Guy (2006). War Cinema: Hollywood on the Front Line. Wallflower. ISBN 9781904764540. Wojik-Andrews, Ian (9 September 2002). Children's Films: History, Ideology, Pedagogy, Theory. Routledge. ISBN 978-1-135-57661-5. Youngblood, Denise J. (2010) . Russian War Films: On the Cinema Front, 1914-2005. University Press of Kansas. ISBN 978-0-700-61761-6. DeBauche, Leslie Midkiff (1997). Reel Patriotism: the Movies and World War I. University of Wisconsin Press. ISBN 0299154009. Kane, Kathryn R. (1982). Visions of War: Hollywood Combat Films of World War II. UMI Research. ISBN 0-835-71286-9. Lim, Song Hwee; Ward, Julian (2011). The Chinese Cinema Book. Palgrave Macmillan. ISBN 978-1-84457-580-0. Slater, Jay (2009). Under Fire: a century of war movies. Ian Allan Publishing. ISBN 0-711-03385-4. Stites, Richard (1995). Culture and Entertainment in Wartime Russia. Indiana University Press. ISBN 025335403X. Taylor, Mark (2003). The Vietnam War in History, Literature, and Film. University of Alabama Press. ISBN 0817314016.